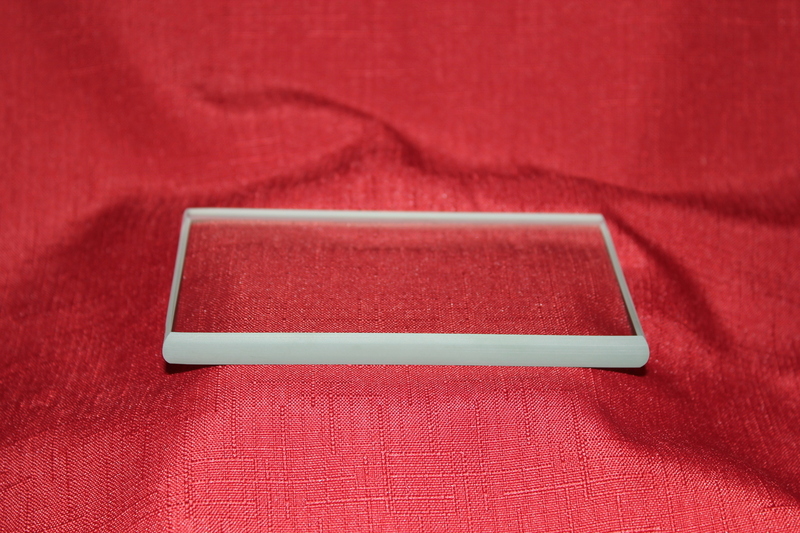 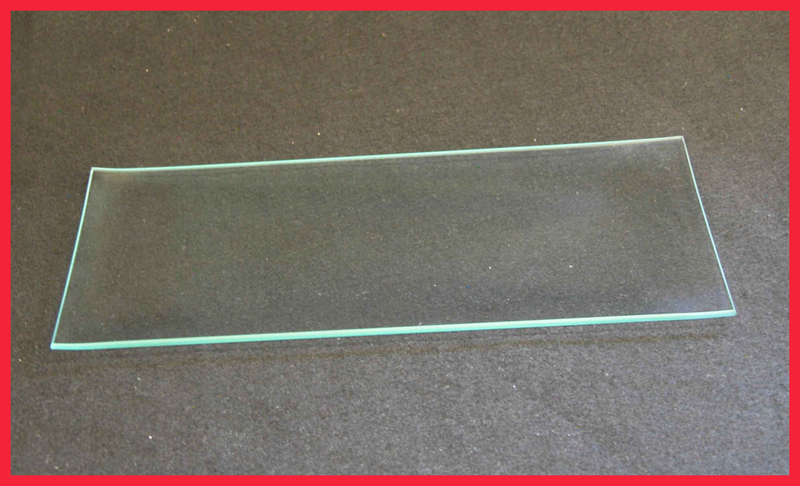 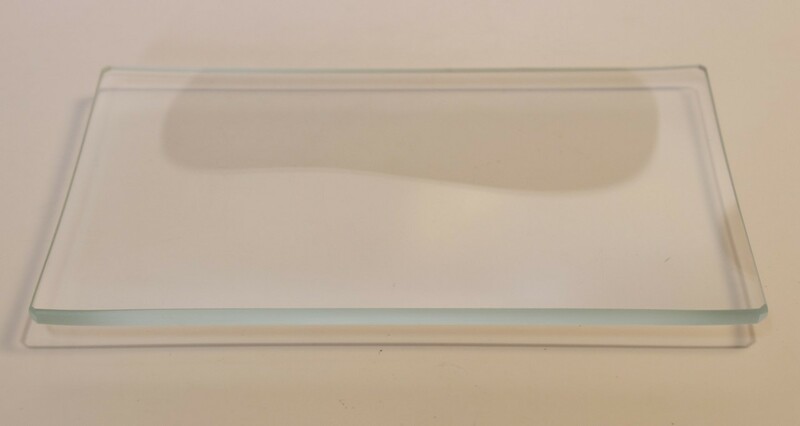 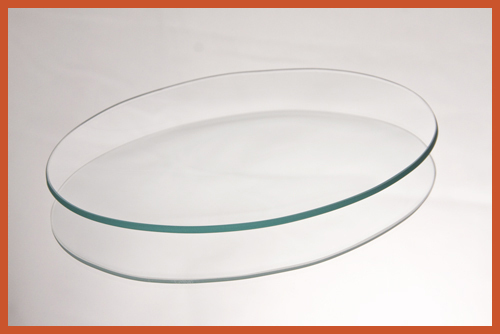 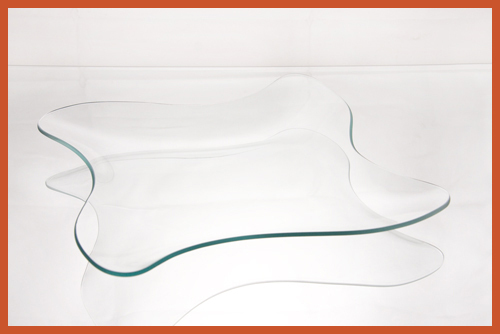 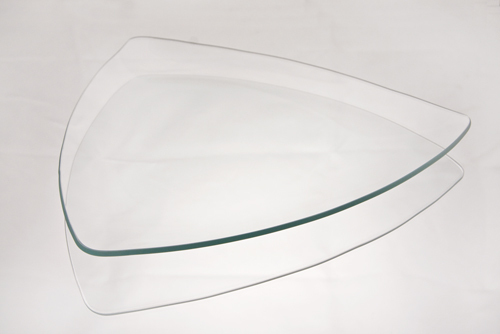 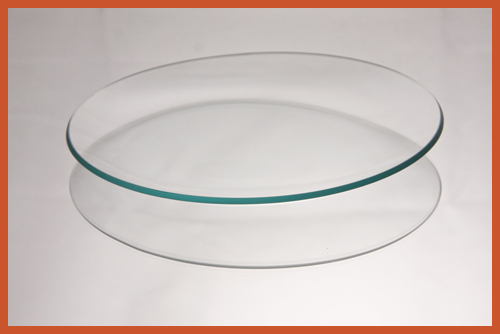 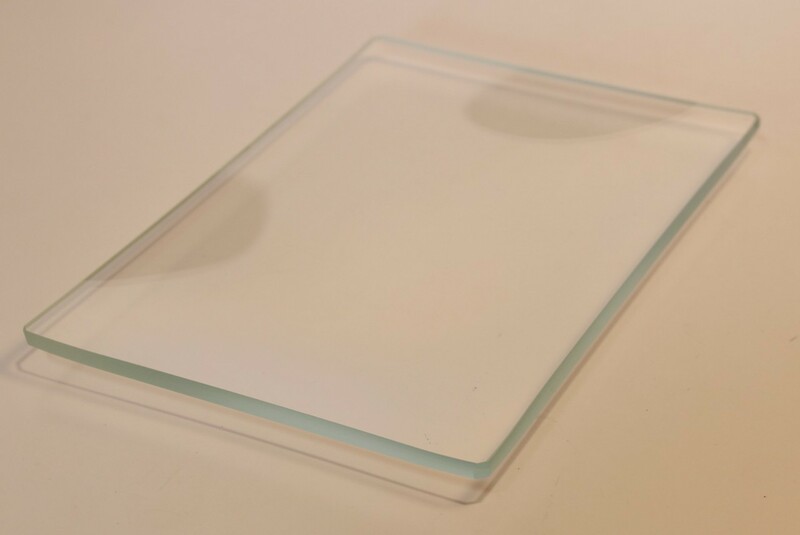 Clear glass plate with a shallow bend. 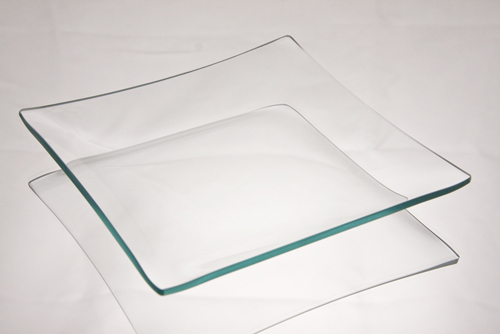 Low iron glass excludes most of the iron found in regular soda lime glass. 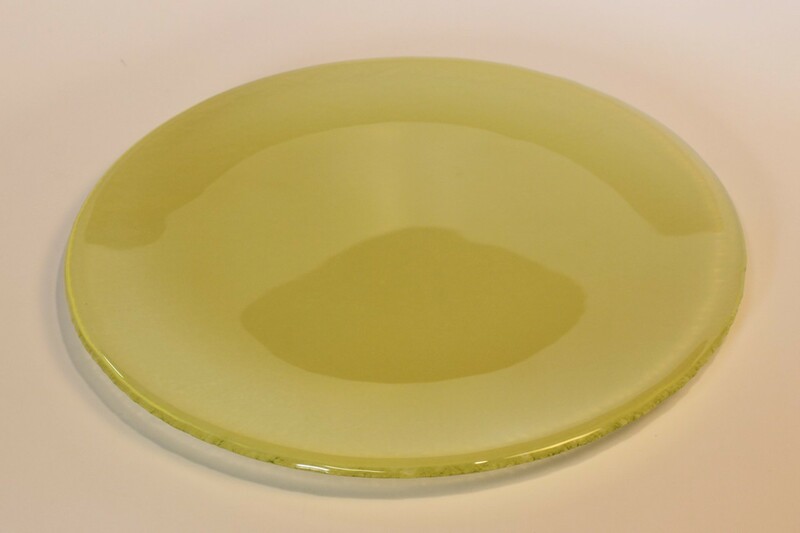 This glass has no green "tinge". 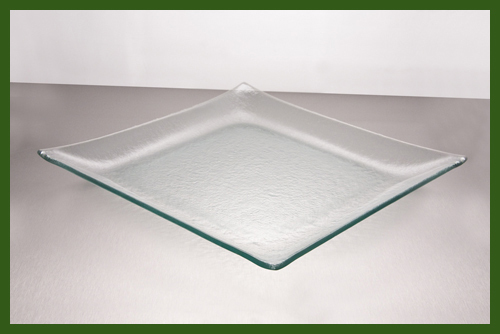 Glass plate is 5/32” thick OR 4 MM thick. 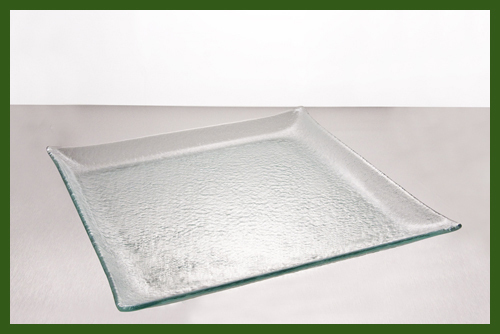 Popular for decoupaging with a post card.